Piedmont Virginia Community College organized a program on the use of drones for search and rescue missions. During the program, the York County Sheriff’s office conducted a mock mission with a drone at the Polo fields of King Family Vineyards. A four rotor remote controlled drone, armed with a rotating fish-eye camera was positioned a few hundred yards from a small cabin and at a height of 300 feet cannot identify its target, a man with an assault rifle in the front yard. 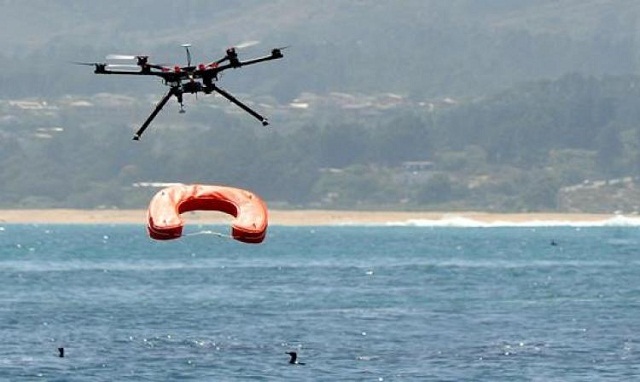 At the King Family on a Friday morning, it was agreed that the current commercial drone technology is best suited for search and rescue missions than gathering information about a potentially dangerous situation. “From the class, the immediate application of the commercial technology, I think, is probably search and rescue”, said Bob Dorsy, a retired government contractor who enrolled in the program on his own. “Law enforcement agents may have specialized cases they can deal with using the ability to see and hear the aircraft”, he added. The class which evolved from the one set up and trained by Darren Goodbar, the Director of aerial services for Draper Aden Associates, a drone hobbyist and a former government contractor who directed drone flights. Goodbar explained that the class deals on research as well as training. “Part of the research is on the applications of drone technology. We are not just flying drones around for fun”, he explained. David King, the owner of King Family Vineyards, who has been working with Albemarle County Search and Rescue to carry out researches on the use of drones pointed out that drone technology, is still under development. “Everybody likes it because it is ‘Wow’ or it is cool. But if it is just looking cool and it is not really accomplishing any task, then it is of no use”, he said. He also stated that some limitations exist in the level of drone technology currently available. Jessica Mink, a volunteer with Harrisonburg based Blue and Gray Search and Rescue Dogs, pointed out that drones can save valuable time during any search mission. Though, these devices are easy to operate in open places, they can be a bit difficult in search situations. Weather is a big constraint to the operation of drones but they seem to perform well at large clearings or fields”, she said. “The flight time on the rotors may be another limitation to search and rescue missions but surprisingly, sufficient time can be obtained by just reducing and increasing the altitude of the drone”, she added. However, drone batteries can work for a period of 15 to 20 minutes. Valerie Palamountain, dean of workforce services at PVCC, explained that drones have been in existence for some years and are used by government for official purposes. Drones can also be used by cities or individuals which poses the risk of violating Federal Aviation Administration rules. Before the inception of PVCC, no organization was available to offer extensive training on the operation of drones. Even now, there is no entity to certify drone users. 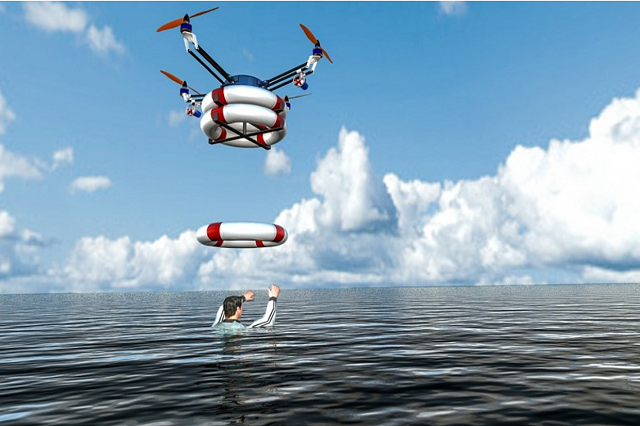 “When we commenced researches, the FAA stated that drone users should be licensed pilots. Actually, we are working with Virginia Department of Emergency Management and the FAA to issue the needed guidelines”, she disclosed. PVCC should be approved as a qualified training ground for police officer and fire rescuers on the use of drones.